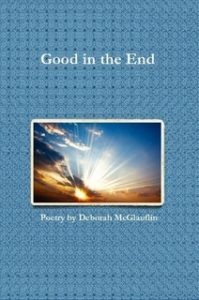 I’ve launched a CrowdRise campaign so folks can join me (easily and inexpensively) in sharing copies of Good in the End with patients at Hospice of the Chesapeake, where I work and vigil volunteer. A $10 tax-deductible donation gifts a book to someone who’ll really appreciate it. Thank you!